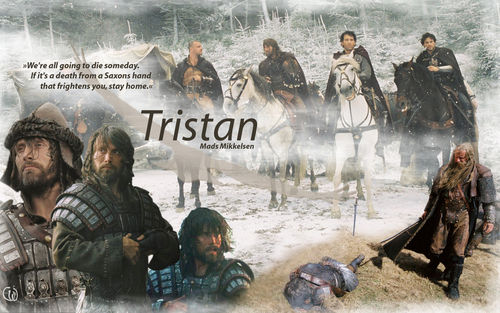 Tristan پیپر وال King Arthur Mads Mikkelsen. Mads Mikkelsen as Tristan in King Arthur. HD Wallpaper and background images in the Mads Mikkelsen club tagged: mads mikkelsen danish actor after the wedding clash of the titans le chiffre three musketeers. This Mads Mikkelsen wallpaper contains ڈاؤن لوڈ ہونے والے, مزاحیہ کتاب, منگا, کارٹون, ہالی ووڈ, and کامک بُک. I would love to be his falcon, and follow him everywhere!